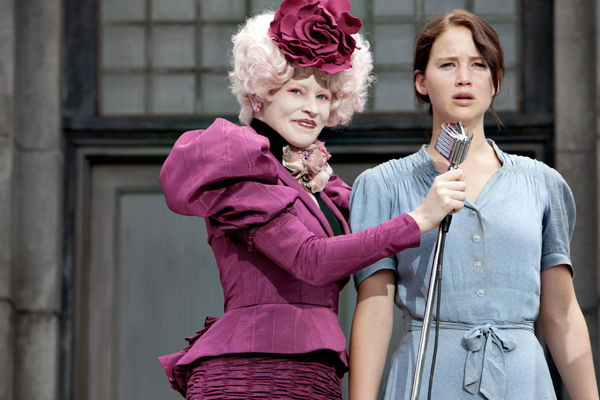 The Hunger Games did not disappoint at the box-office, no sir. The film had one of the most successful opening weekends in Hollywood’s history, even out-earning Twilight. Everyone loves an underdog. The weekend was owned by The Hunger Games, for sure. The film about a dystopian society divided into twelve districts – ruled by the mighty Capitol – which must donate two tributes for the annual Hunger Games; a competition pitting youths against each other in a fight to the death. It features promising young Hollywood talent like Jennifer Lawrence, Josh Hutcherson, Liam Hemsworth and Canada’s own, Alexander Ludwig. The cast will in no way starve for want of exposure, after such an amazing kick-off of a franchise. The movie raked in an impressive $155 million this weekend, placing it third on the list of top box-office opening weekend successes. The first two spots are being held on to by Harry Potter and the Deathly Hallows Part II and The Dark Knight. The Hunger Games did achieve the honour of top-grosser for a franchise debut; out-earning Harry Potter and Twilight in that respect. In comparison, Harry Potter and the Sorcerer’s Stone banked about $126 million. The film garnered positive reviews and is just rolling in cash right now. It’s high time to be a Hunger Games fan.